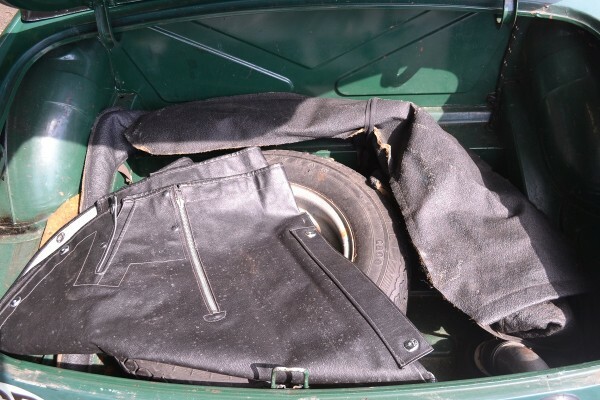 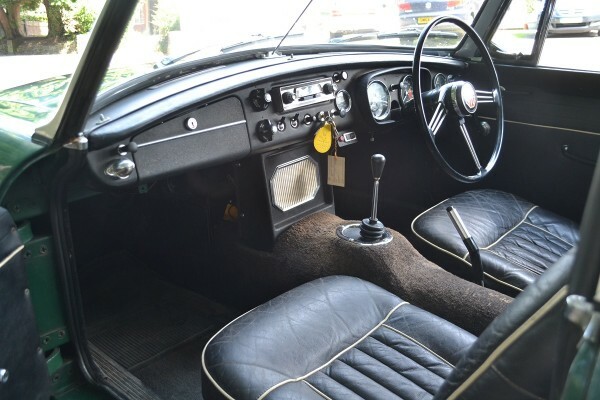 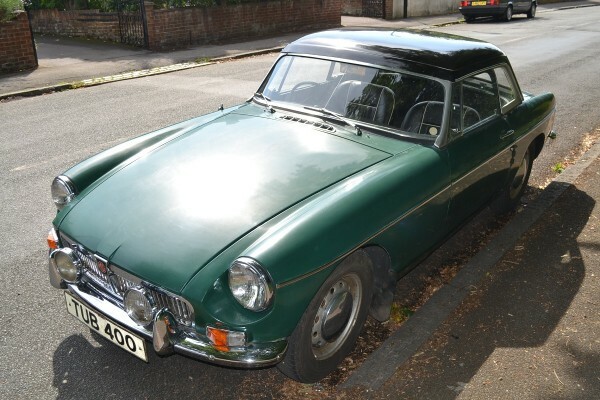 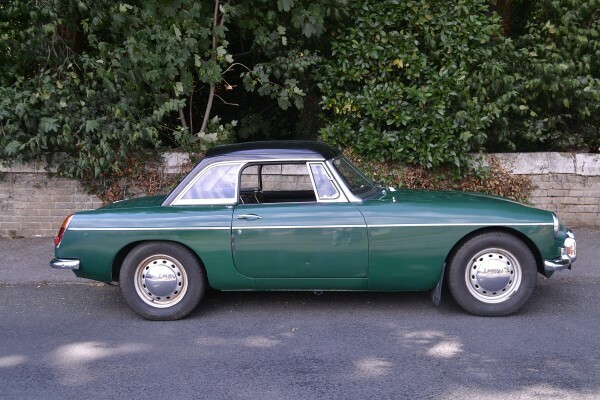 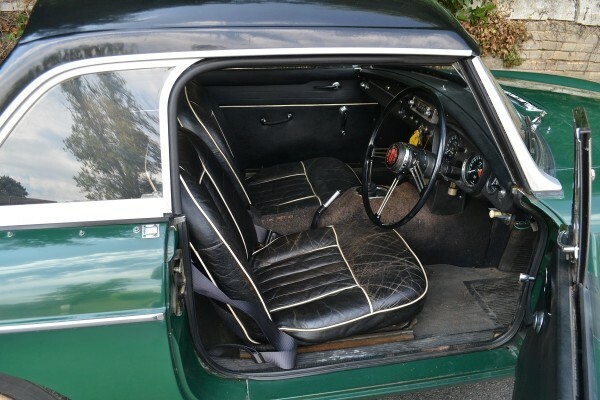 This MGB is probably one of the most original un-restored early roadsters in existence, with just three owners and a genuine 58,662 miles from new. 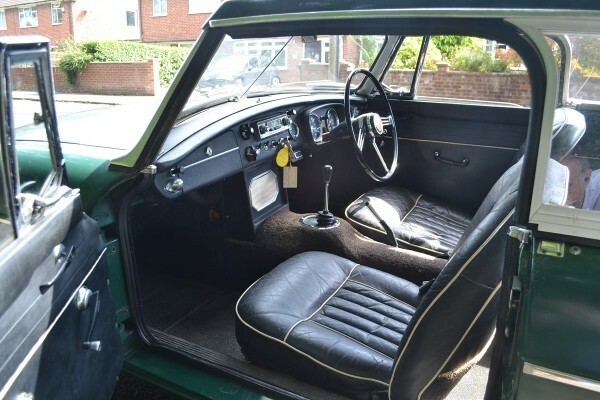 It has recently been recommissioned after 30 years in dry storage. 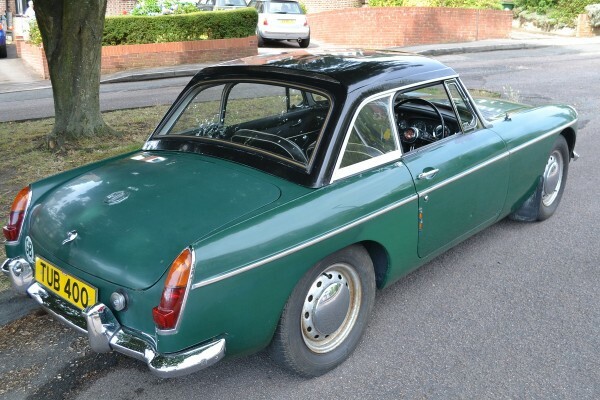 Although first registered in 1968 it is a 1966 model (chassis GHN3-111888), with matching numbers, manual overdrive 3 synchro gearbox, steel disc wheels with hubcaps, and aluminium bonnet. 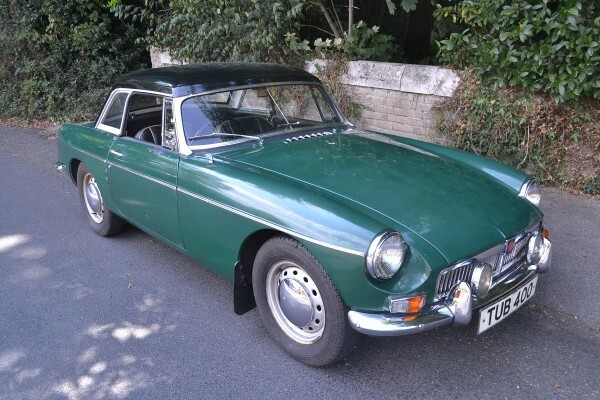 Recent work includes a new fuel tank, fuel pump, stripped and cleaned carbs, new 6V batteries, local repairs to the sills, new dynamo and regulator, new plugs and points, and new front to rear brake pipe. 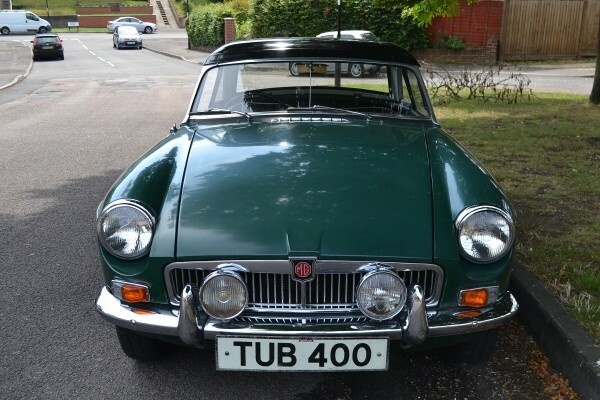 Most of the paintwork is original and not bad considering it is nearly 50 years old. 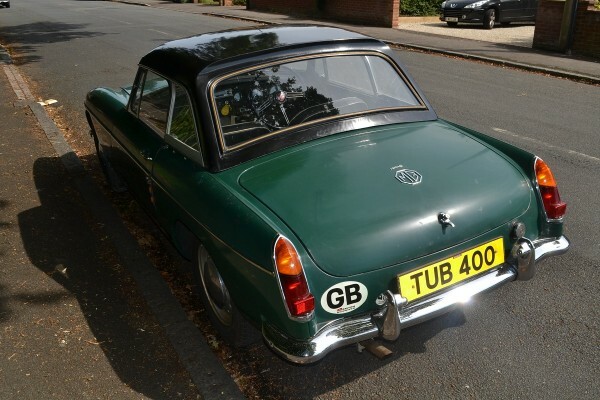 It really needs a full sill set, a repaint, and a new set of tyres to restore to its best, but does have a wonderful patina and perhaps should be in a museum as it is! 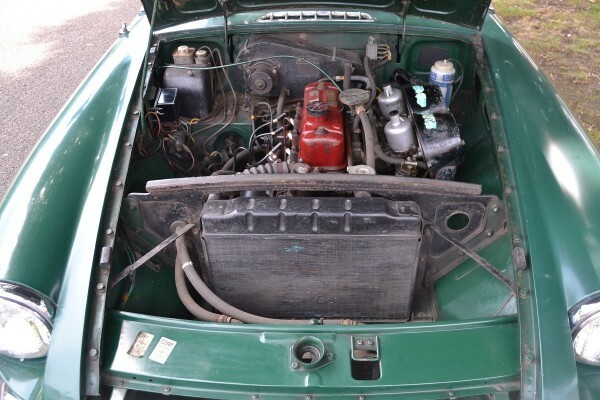 It has a ‘works’ hardtop, new soft top and frame, unused tonneau cover and sticks, and current MOT (to June 2016). 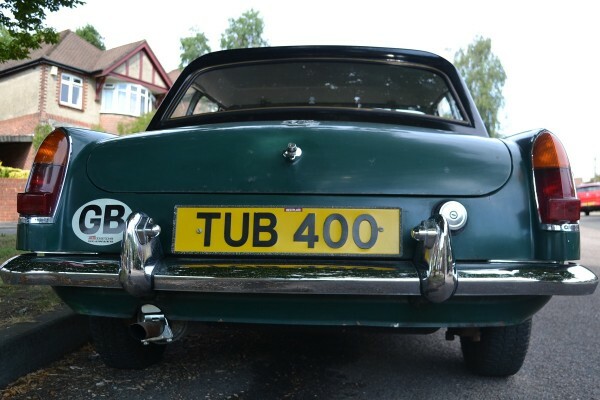 The registration number is transferable and has been valued at £2500. 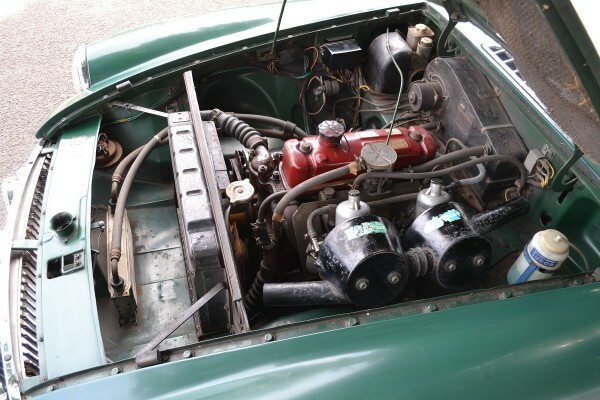 The history file includes the up to date V5C, original green logbook, numerous invoices and old MOTs, drivers handbook and workshop manual.